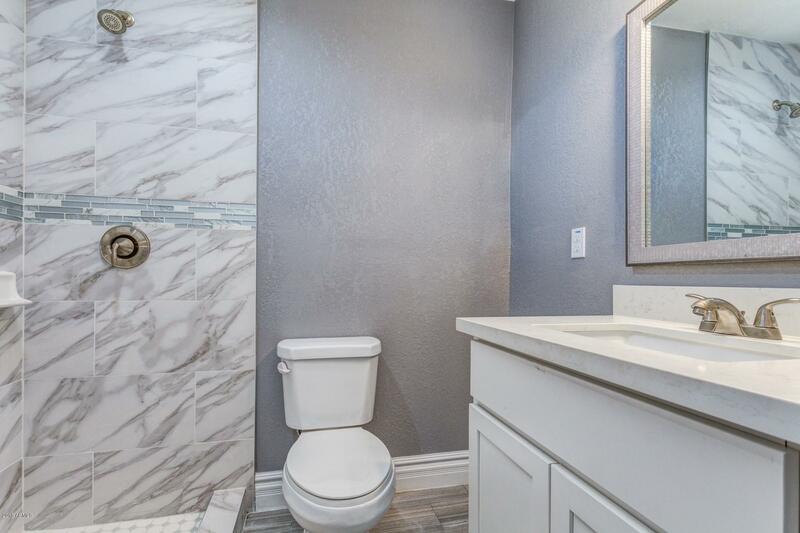 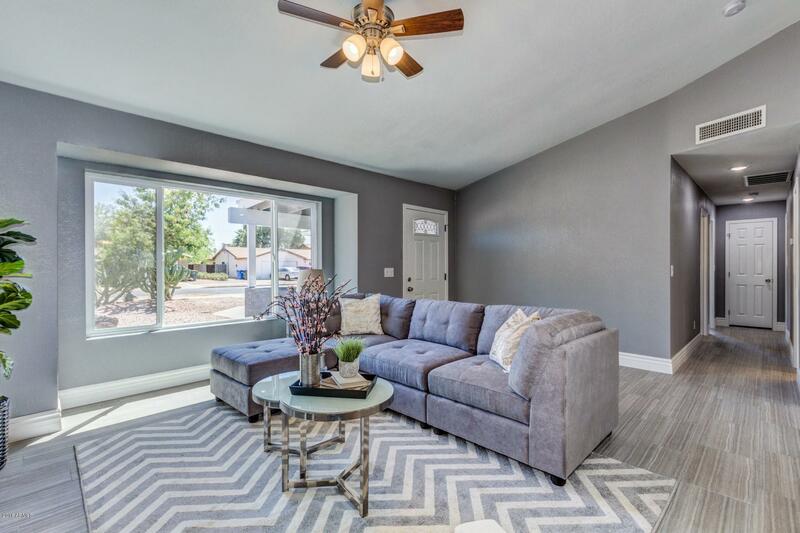 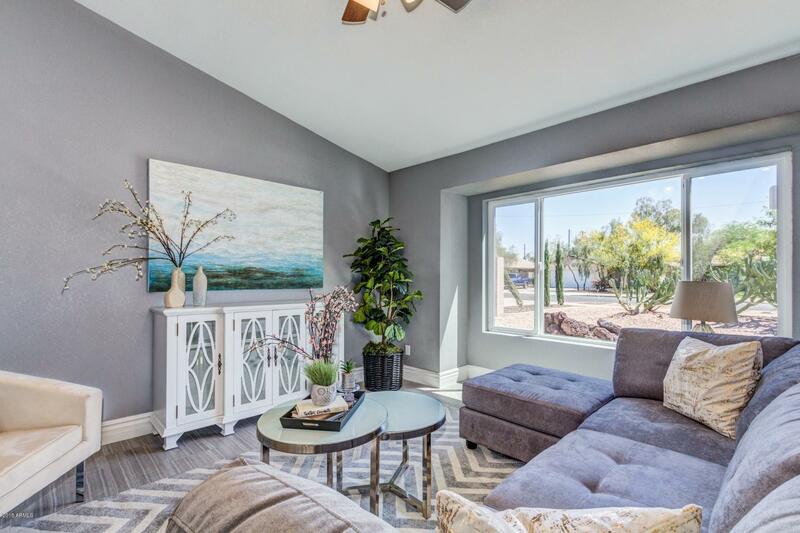 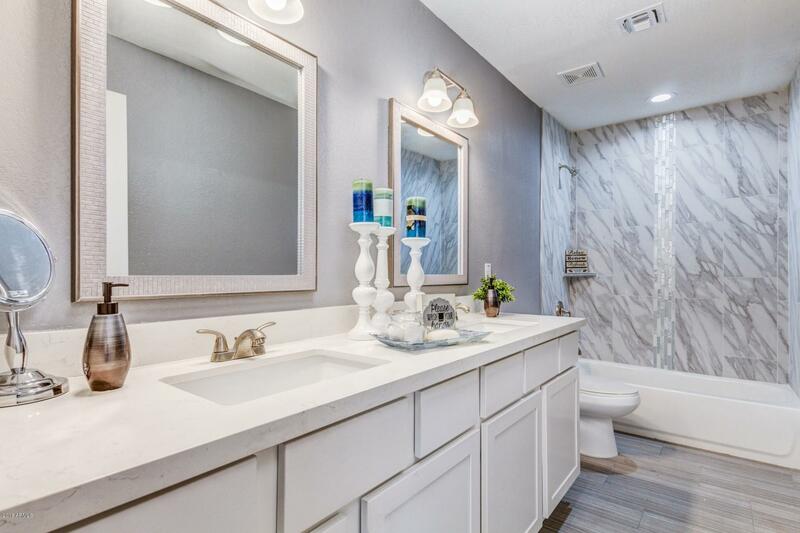 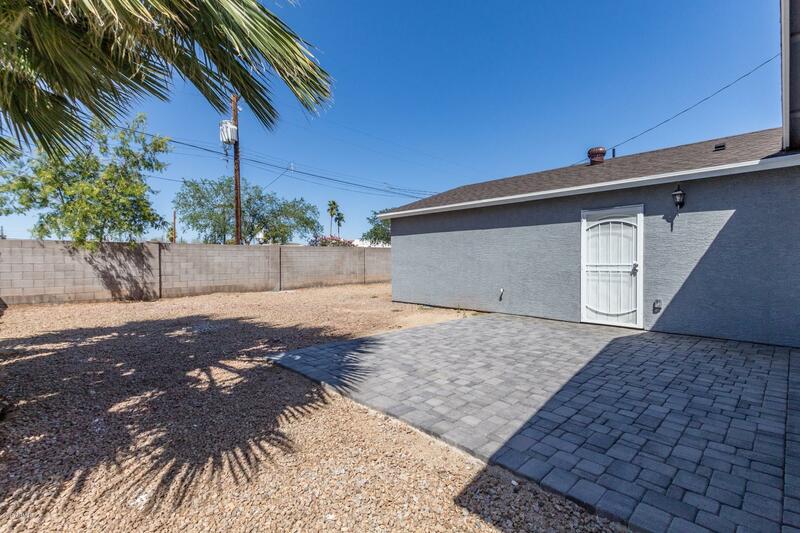 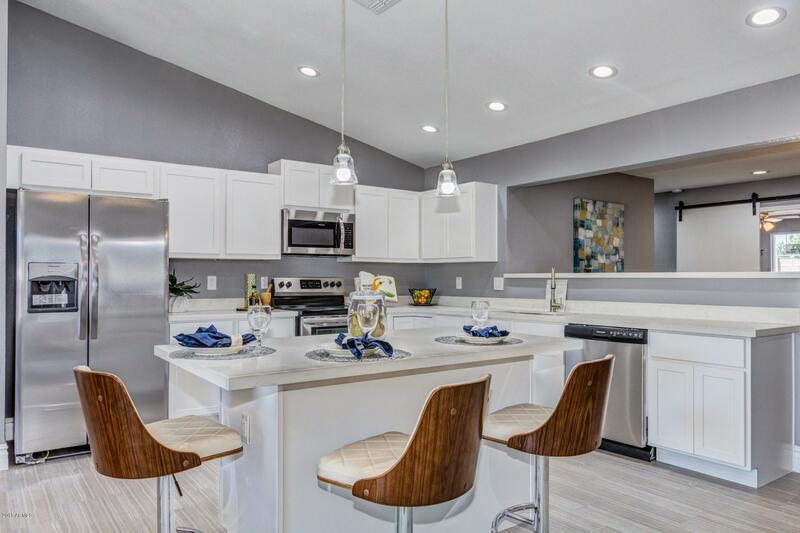 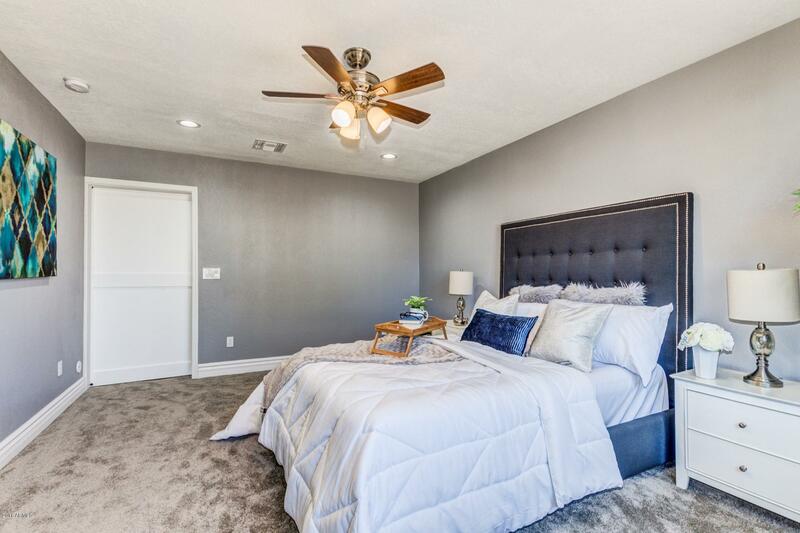 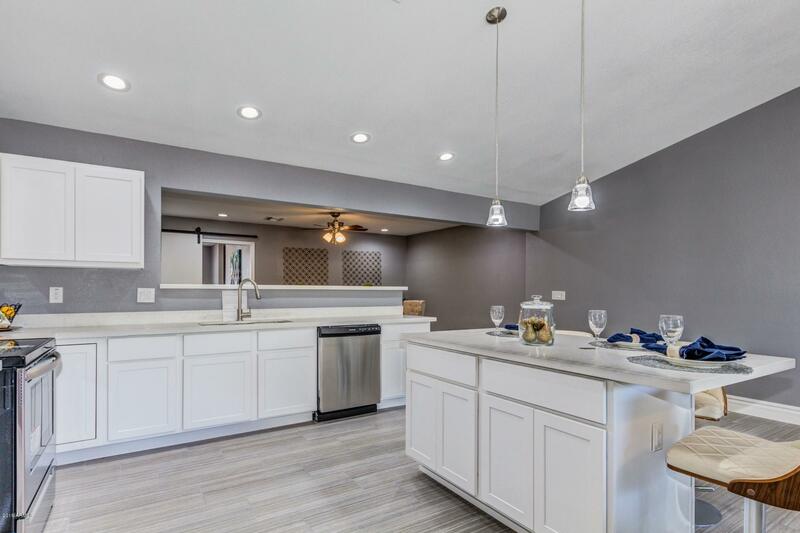 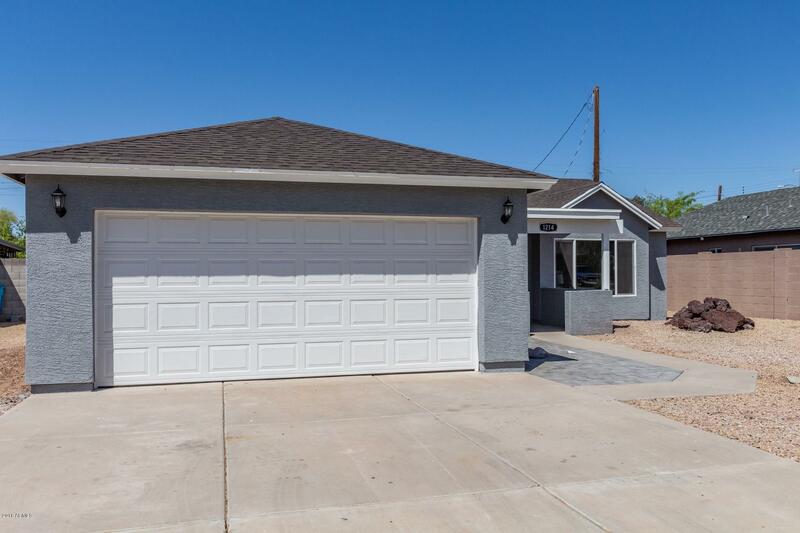 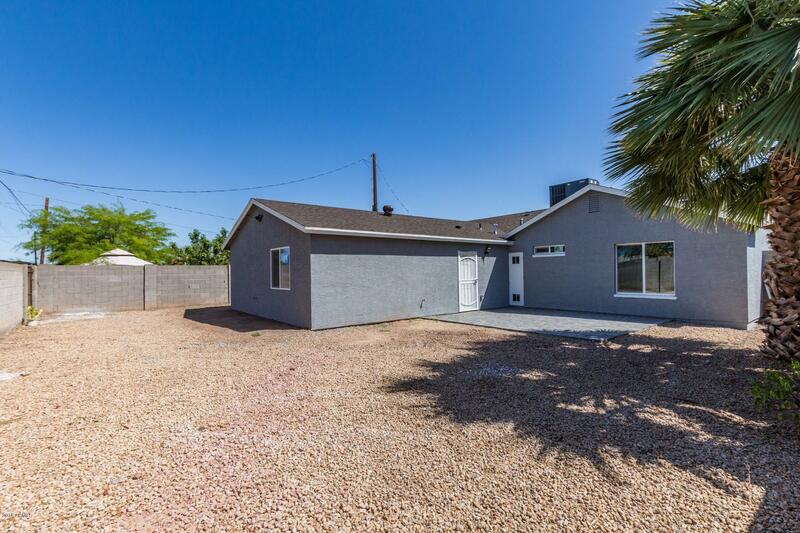 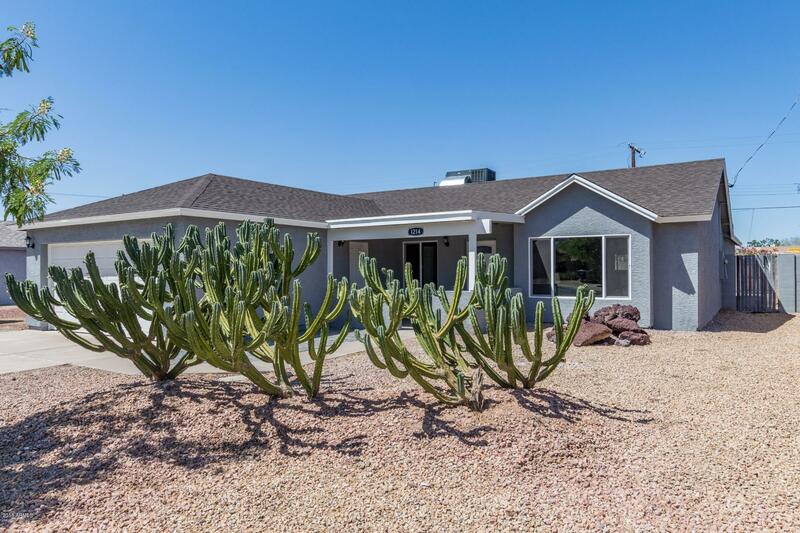 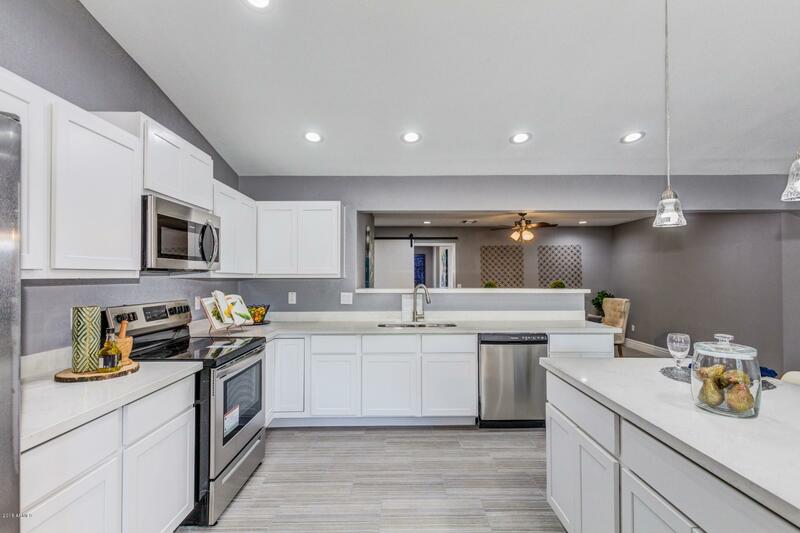 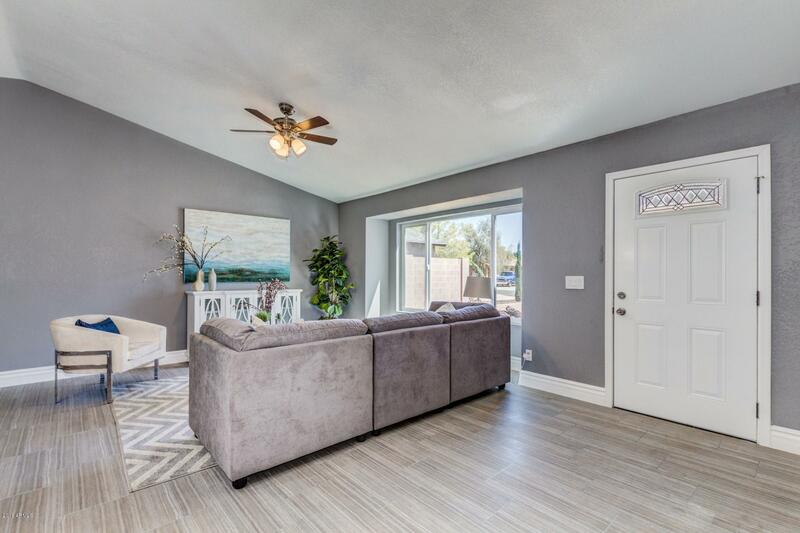 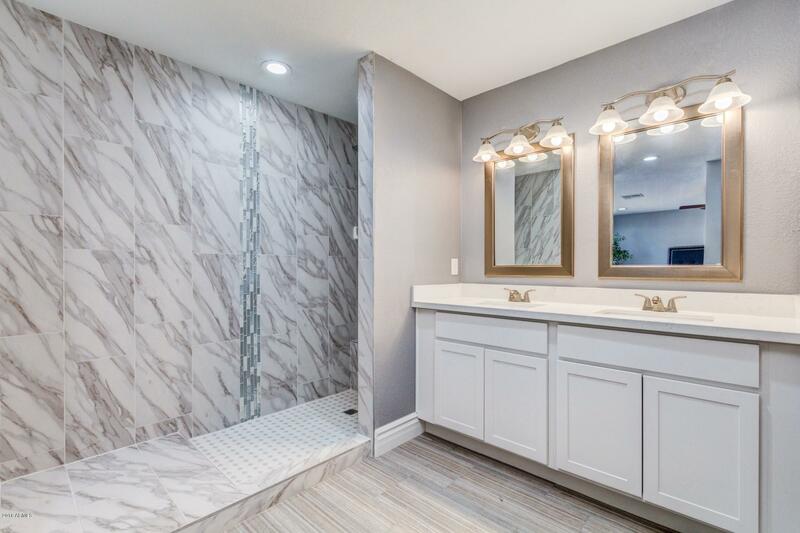 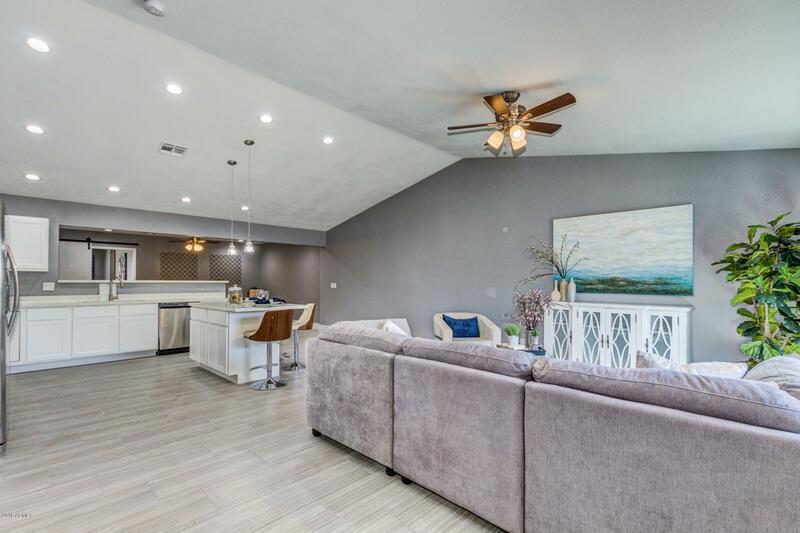 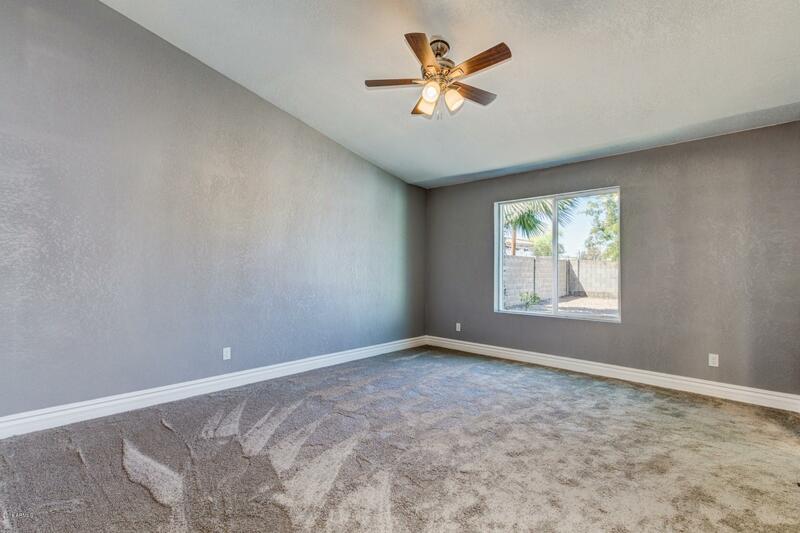 Outstanding Remodeled Ranch Style Home with mature desert landscape and high-end finishes. 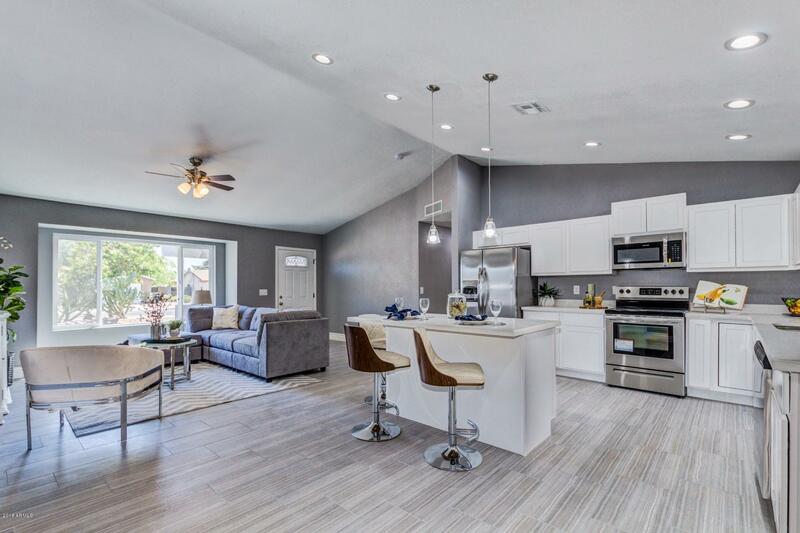 Soaring ceilings, contemporary palette, ceiling fans, large picture window, beautiful wood ''look'' tile floor, and great room floor plan. 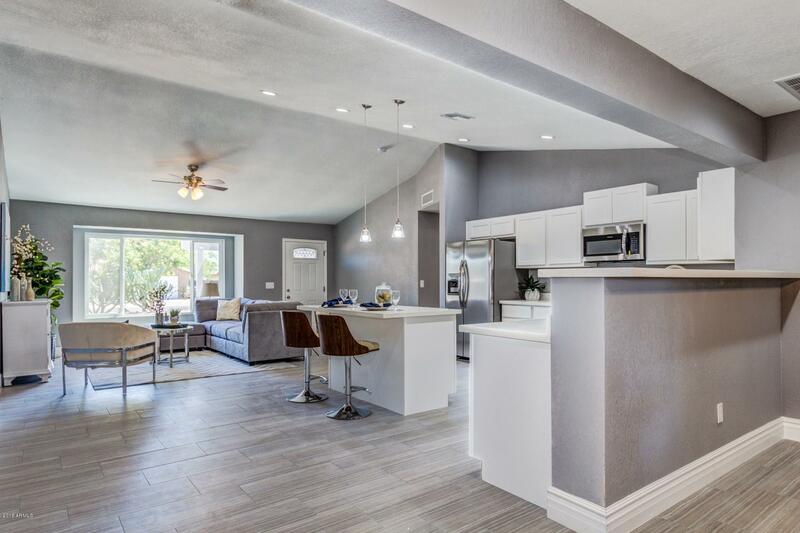 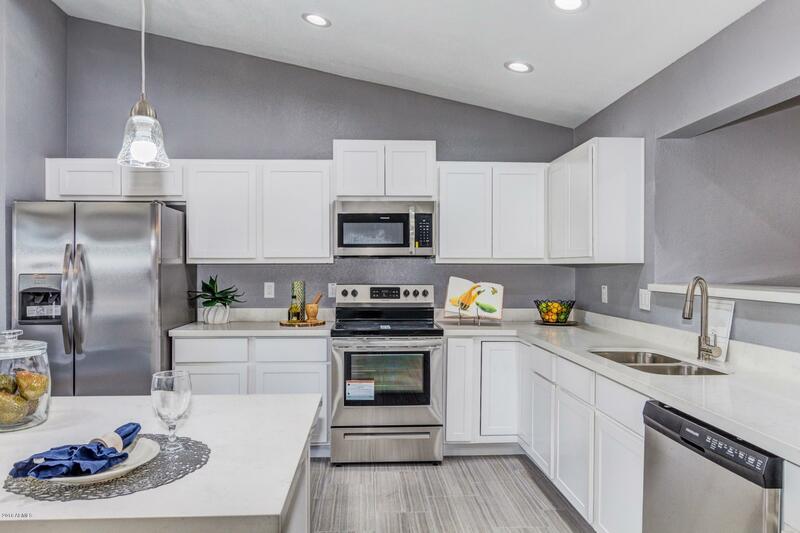 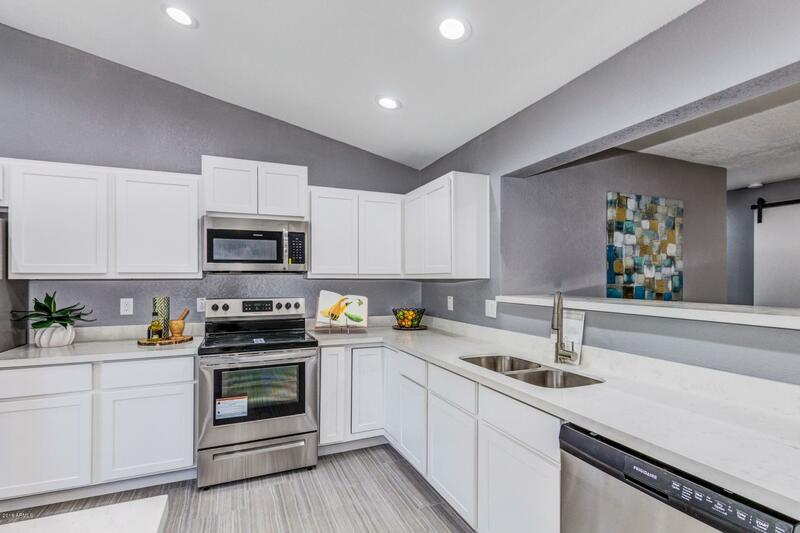 Stunning chefs kitchen features center island, breakfast bar, quartz counters, SS appliances, and white wood cabinets. 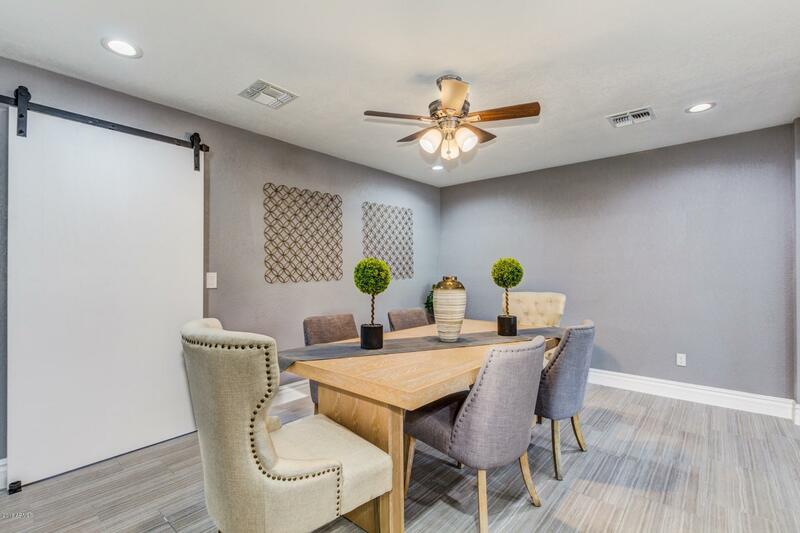 Perfect gathering place for family and friends. 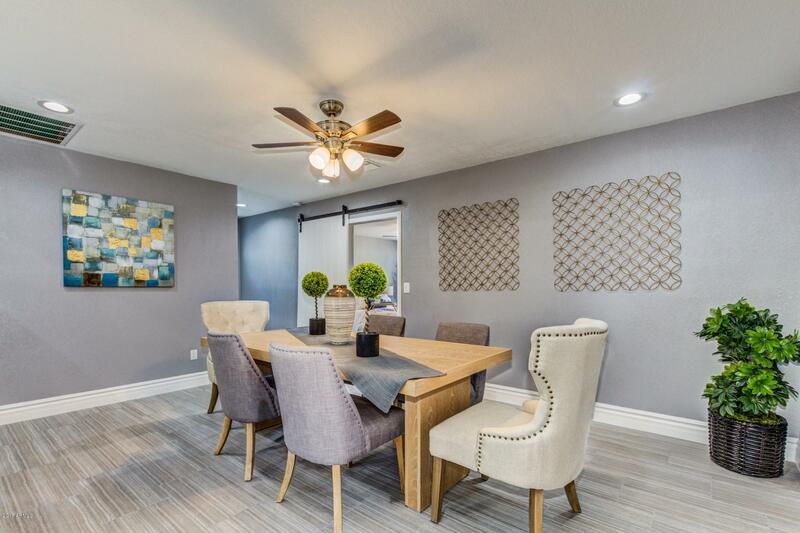 Formal dining area. 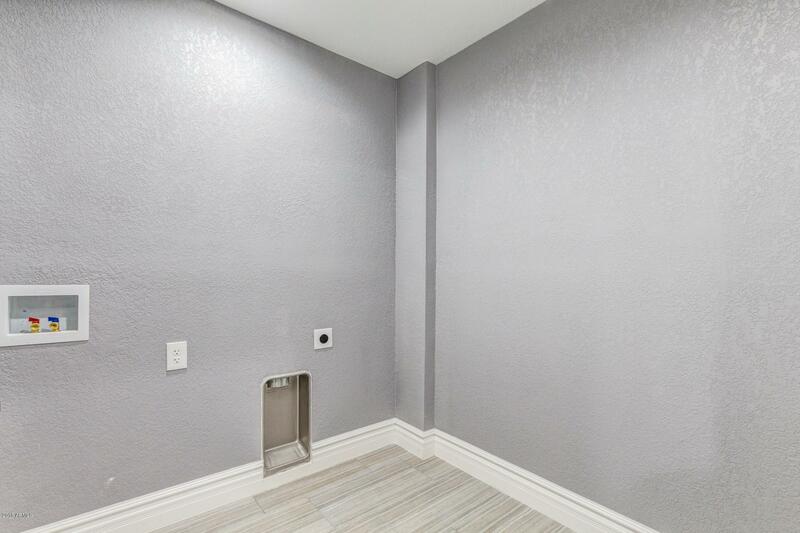 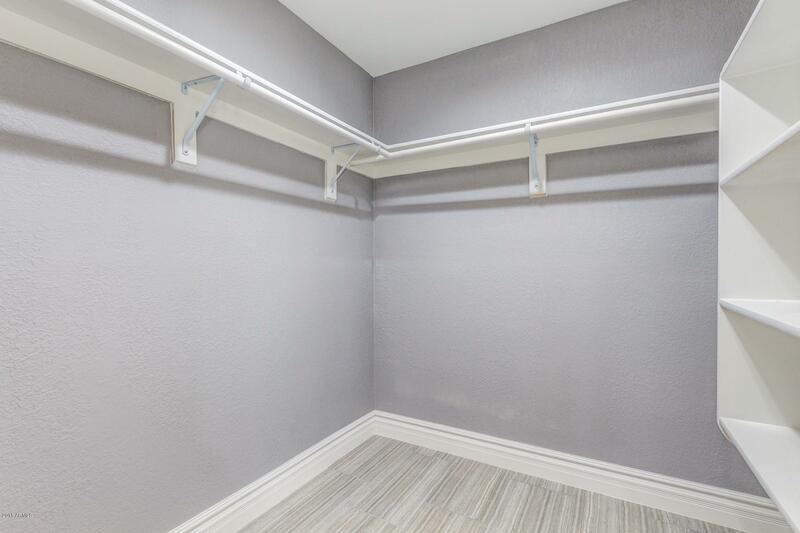 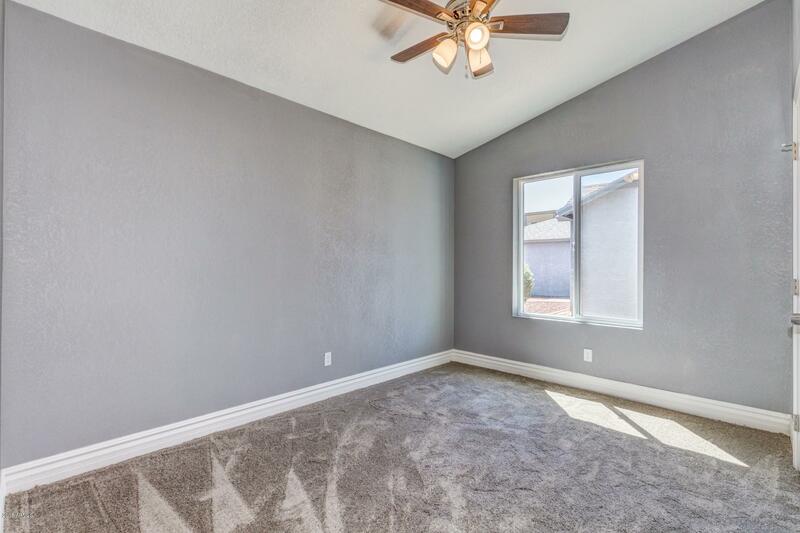 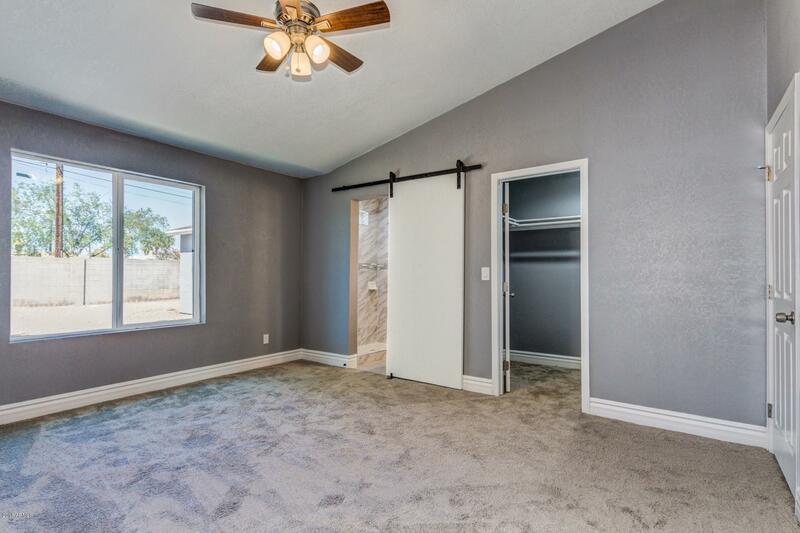 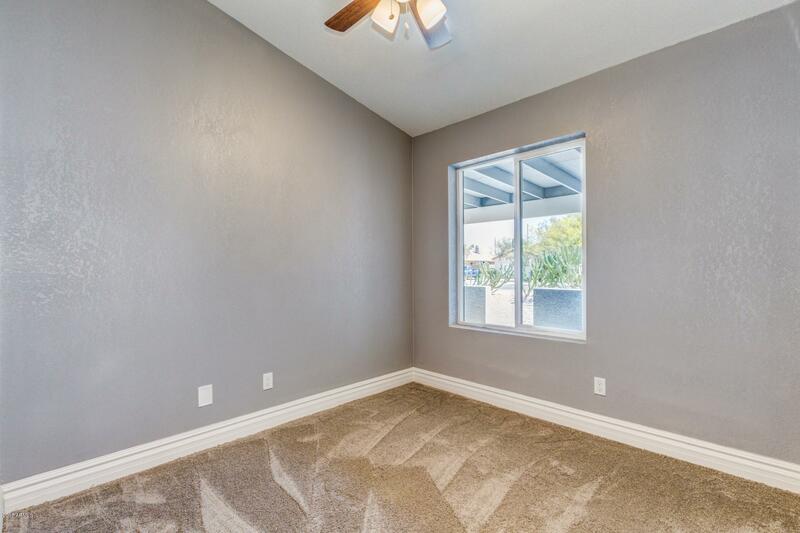 Unique barn door into master retreat with plush carpet, private upscale en suite, and walk-in closet. 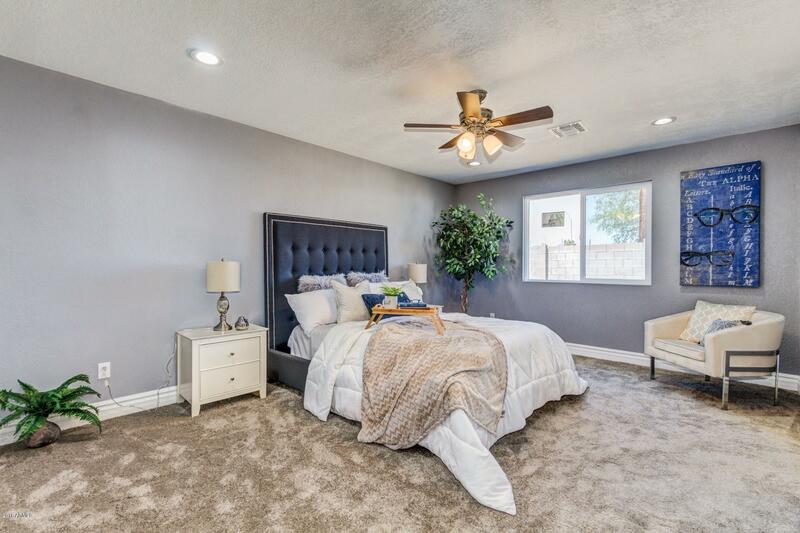 Generous size bedrooms, ample closet, and interior laundry room. 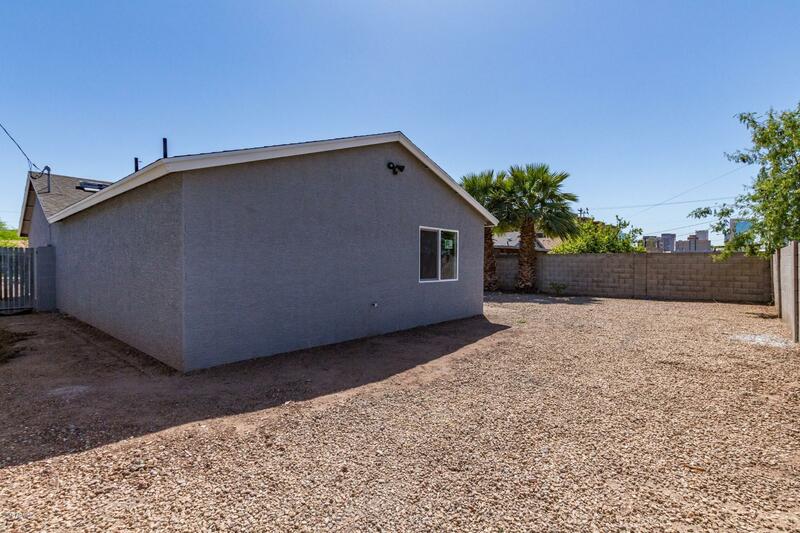 Fantastic large backyard boasts paver patio and room for a pool. 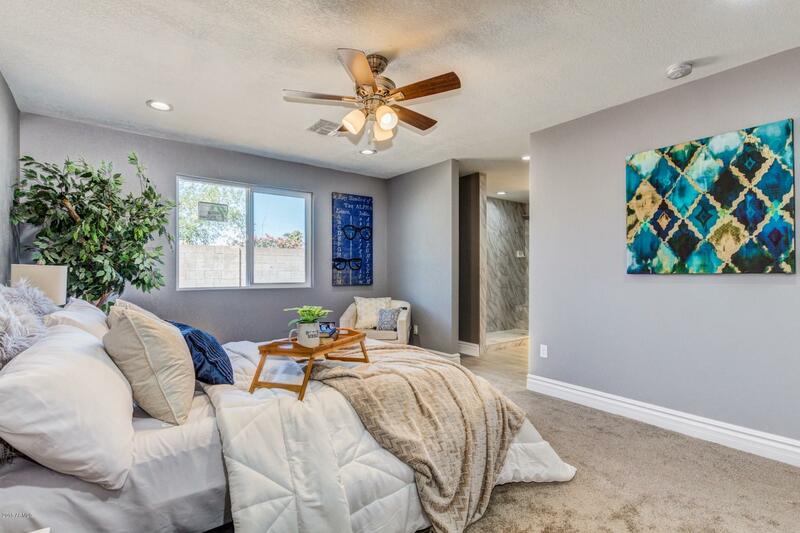 This sensational Home will NOT disappoint!